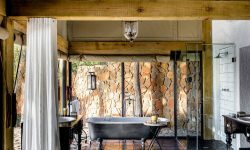 Singita Ebony Lodge is located on the Sand River with fresh and contemporary interpretation of the classic safari lodge, combining tented camp and bush lodge style. The interiors are enhanced by the well polished ebony and mahogany woods and natural fibers in cooling tones. 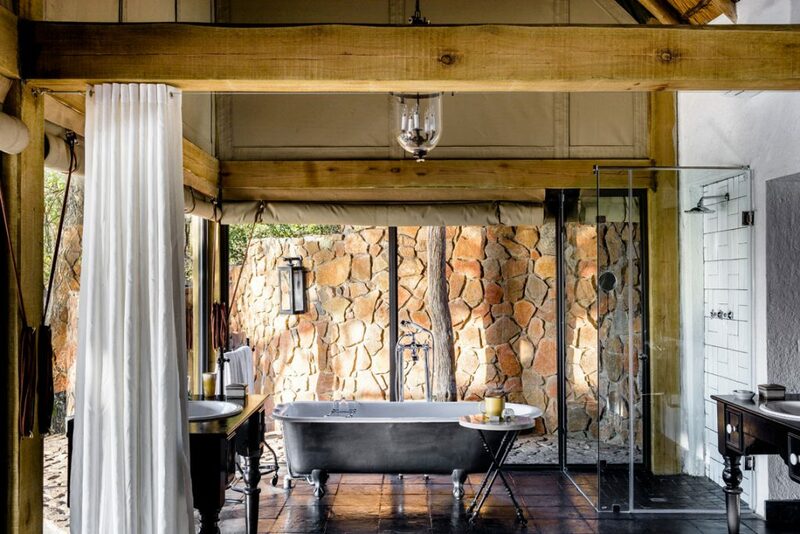 The Lodge comprises of 12 suites each with its own private plunge pool. 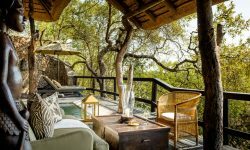 External walls are removed and replaced by canvas and glass to create new safari tent- style suites to maximize the views. Out door decks are ideal for relaxing and dining and are suspended off the river bank giving you a feeling of hanging in the trees. The entire front suite between the bedroom and the veranda is made of glass allowing light to flood in. 8 suites are ideal for singles and couples , 2 suites ideal for families and teenage children, 2 Family Suites ideal for family and small children and 1 Villa suitable for 2 families with access to a additional private lounge, swimming pool and deck are. 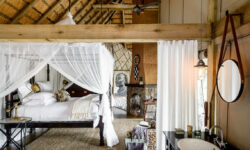 The Ebony villa includes a private vehicle and guide, chef, personal butler. There is also a private Boma. Ebony Villa is suited to up to 4 adults and 4 children under 12 years or 6 adults and teenagers.